Just a couple days after landing star shortstop Troy Tulowitzki, the Toronto Blue Jays have come away with the top pitcher on the market, David Price. 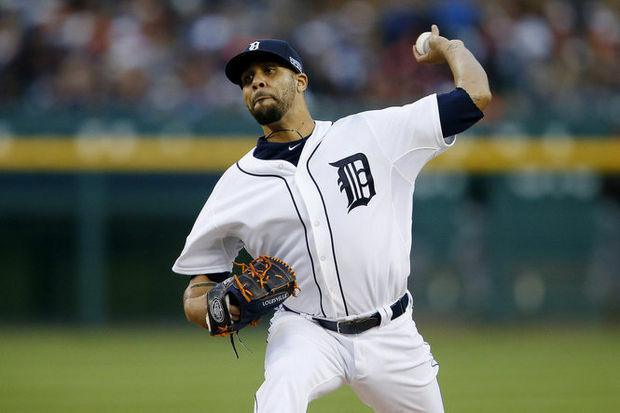 The Dodgers, Giants and Yankees also showed strong interest in Price. Blue Jays prospect Daniel Morris will be heading back to the Tigers likely with outfielder Anthony Alford. the deal is contingent on the players involved passing physicals, as always. Just yesterday, general manager Dave Dombrowski said he told multiple teams Wednesday afternoon that the Detroit Tigers will listen on all their potential free agents. Price was acquired at last year’s trade deadline from Tampa Bay and now will be pitching for his third team in the past 12 months. Price is a free agent after the year so this is only a rental, limiting the value. The Blue Jays would be hard-pressed to res-sign Price. Price is fifth in the AL in ERA (2.53) and fourth in strikeouts (138 in 146 innings). The Tigers have been sliding in the standings since their 11-2 start and have fallen to a season-worst four games under .500, 13½ games out of first place in the AL Central and 4½ games behind in the wild-card race this week. Tigers outfielder Yoenis Cespedes maybe next to be traded.